Hello Linux Geeksters. 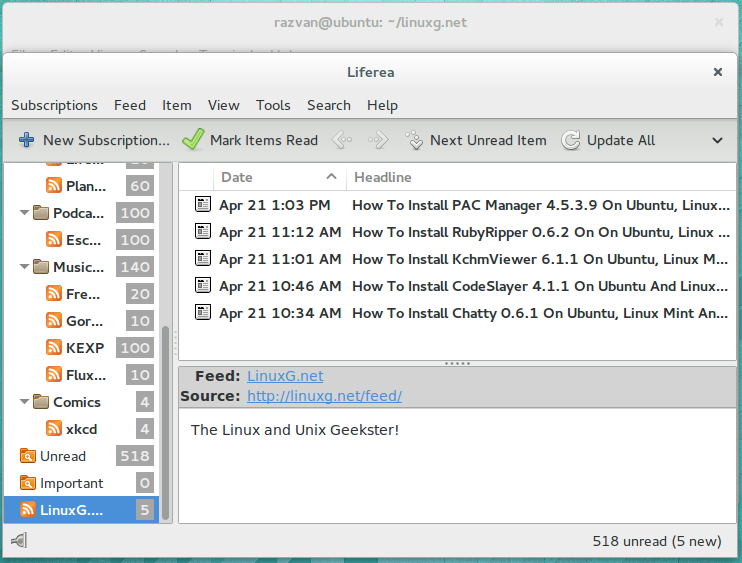 As you may know, Liferea (Linux Feed Reader) is a simple and lightweight news aggrecator with a GTK interface. Among other features, it can be synchronized with TinyTinyRSS or TheOldReader and has full support for Google Reader which reached EOL at the beginning of the month, it supports tabs and is capable of downloading feeds for online reading. The latest version available is Liferea 1.10.9, which has been recently released, coming with some bug-fixes. 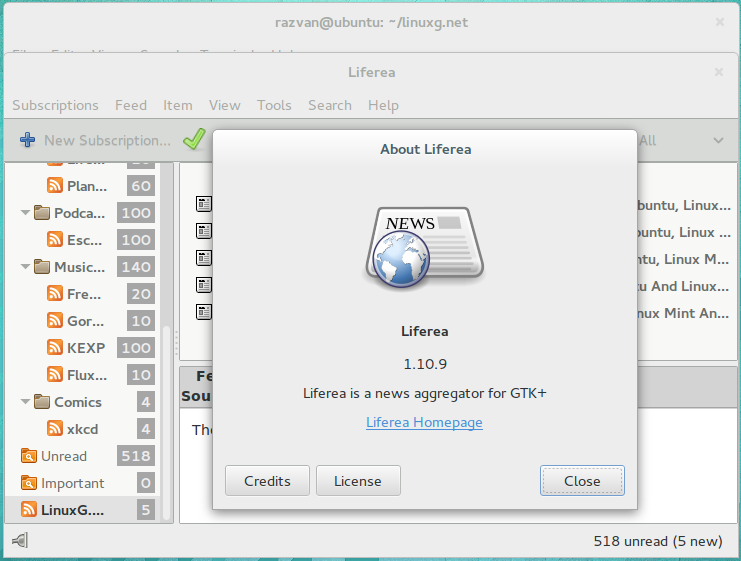 In this article I will show you how to install Liferea 1.10.9 on Ubuntu 14.04 Trusty Tahr, Ubuntu 13.10 Saucy Salamander, Ubuntu 12.10 Quantal Quetzal, Ubuntu 12.04 Precise Pangolin, Linux Mint 17 Qiana, Linux Mint 16 Petra, Linux Mint 14 Nadia, Linux Mint 13 Maya and Elementary OS 0.2 Luna.